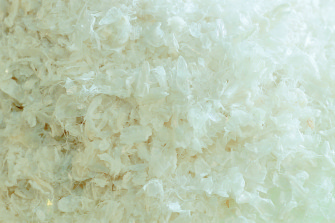 Chitin belongs to the group of natural biopolymers, such as cellulose, starch and protein. It is a light building material, but has a high mechanical load capacity. It occurs in the exoskeleton of crustaceans and insects, as well as in the cell walls of fungi. Economical quantities are produced from shell material from the processing of crabs, prawns and shrimps. Chitin is modified to chitosan by the elimination of the N-Acetyl groups. 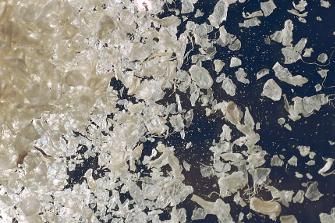 Chitosan as a cationic polysaccharide has a number of unique properties, which opens up a wide range of application opportunities. Using different recipes various chitosan qualities are produced, which differ mainly in degree of deacetylation, viscosity (molecular mass) and ash content. As a result of the variation of product parameters it is necessary to choose the optimal product for the specific application.